Since 1947, the three great mountain ranges of Pakistan, the Karakorams, the Himalayas and the Hindu Kush have been very popular among the foreign mountain climbers. Most of the highest peaks including K2 and other giants were one by one climbed. Besides, jubilation on the part of those who climbed and the nations backing them, it was not before 1990 when K2 received first time a unique expedition with an idea that has never ever been thought of, experimented or even realized. This was when Mountain Wilderness International, under the leadership of Carlo Alberto Pinelli (who has received the highest Pakistani civil national award “Sitar-i-Imtiaz” -star of distinction) cleaned the entire Abruzzi spur of K2, the world’s second tallest mountain, from the kilometres of abandoned fixed ropes and other left overs of the previous expeditions. This was the only expedition that was aimed not to attain the summit of K2 but to bring back the spur to its pristine state and to let the new climbers experience the true difficulty of the route of the mountain. It was through this expedition that realization came that the climbing activity, because of the careless attitude of the mountain climbers, was resulting into degradation of the fragile environment of the mountains and that the message started to be understood. Since then many efforts were made to keep the mountains clean. After 9/11, Pakistan’s tourism industry came under shadows, when the visitor trend dropped drastically and stakeholders looking after tourism experienced harder times. Because of the evolution of social media, domestic tourism started blooming. There came into focus the so-called tour operators who having no lawful companies, no experience of managing tourism businesses started selling easy places of Pakistan. Thousands of domestic tourists started going to the mountains and bringing heavy impact on the environment. Whatever stuff was being taken by them was never brought down, but rather piled behind. So today where we see thousands of people going to the mountains from within domestic flux, which helped local masses to get something out of the gap created by then diminishing flow of foreign tourists. All these places have become polluted to an alarming extent and all the tour operators involved in the degradation of the environment cannot be held legally responsible because their business is not governed by any law. Keeping all this in mind, Mountain Wilderness Pakistan started The Kaghan Project with an aim to train people in technical mountain know-how while improving their ecological perception and behavior so that the trend of increasingly polluting the mountains could be a bit controlled. To meet this challenge, Mountain Wilderness Pakistan organized three courses in the Siran Valley of Kaghan Mountains in 2014, 2015 and 2016. 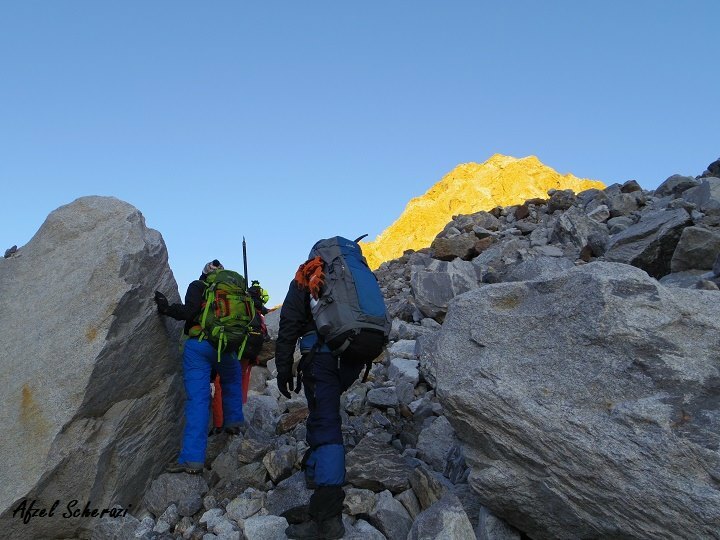 The last course was held in Siran Valley in which the trainees were trained in techniques necessary for safely negotiating mountain terrains but also leaving it without any trace of human passage. The Mountain Wilderness team brought down to towns all left over of its courses where it was disposed off properly. It is very difficult to train all the people going to the mountains to behave in a proper way as very few attends such courses, yet Mountain Wilderness Pakistan feels that its action will definitely give positive messages to so many who do not believe in our philosophy, that they do not have the right to pollute the nature which is for everyone to enjoy and also for the coming generations.